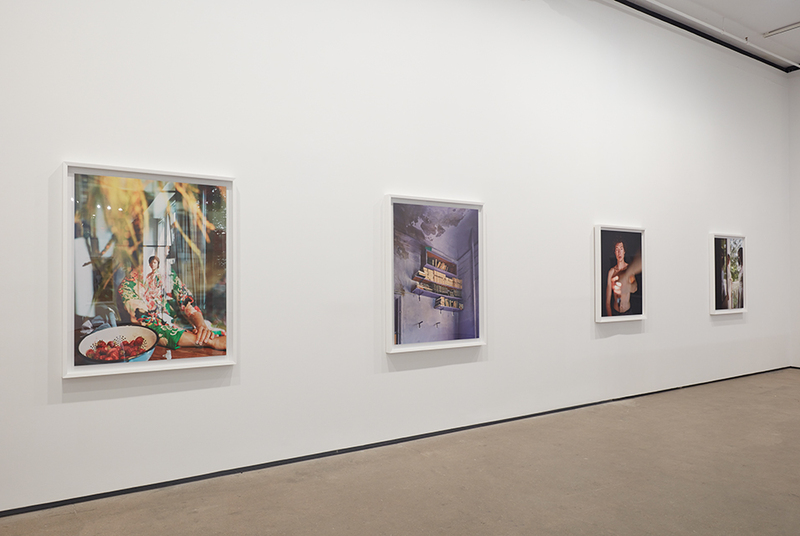 Installation view of Alec Soth: I Know How Furiously Your Heart Is Beating at Sean Kelly, New York March 21 - April 27, 2019 Photography: Jason Wyche, New York Courtesy: Sean Kelly, New York. NEW YORK, NY.- Sean Kelly is presenting Alec Soths third solo exhibition with the gallery, I Know How Furiously Your Heart Is Beating. Comprised of recent large-scale color portraits and images of interiors, the exhibition focuses on Soths depiction of the individual, posing questions about what these images reveal about both the sitter and photographer. Over the course of one-year Soth photographed individuals in the United States, the United Kingdom, Europe and Eastern Europe. All of the pictures are portraits of subjects taken in their own homes or interior spaces. Influenced by the openness of Peter Hujars photography, these sensitive images disclose a higher degree of subjectivity and intimacy than is typically found in Soths work. Featuring a range of subjects hitherto unknown to the artist who were introduced to him through third parties, the sitters include artists, writers and choreographers, the majority of whom the artist met on his travels. As Soth states, This project isnt about geography, nationality, or other ways we conceptually try to understand each other. Its simply about walking into another persons room and beholding the fragile, enigmatic beauty of another persons life. Beguiling in their simplicity, these photographs stand as quiet meditations on the poetic mysteries unleashed from nothing more than a quiet encounter in a strangers room. To coincide with the exhibition MACK Books published a new monograph on March 15, titled I Know How Furiously Your Heart Is Beating, the exhibition and the book take their title from the final line of Wallace Stevens poem The Gray Room. The publication features a conversation between the artist and the celebrated novelist and Editor-in-Chief of T: The New York Times Style Magazine, Hanya Yanagihara.